If you're looking for the perfect Valentine's (or Galentine's) treat for your sweet-tart, look no further. 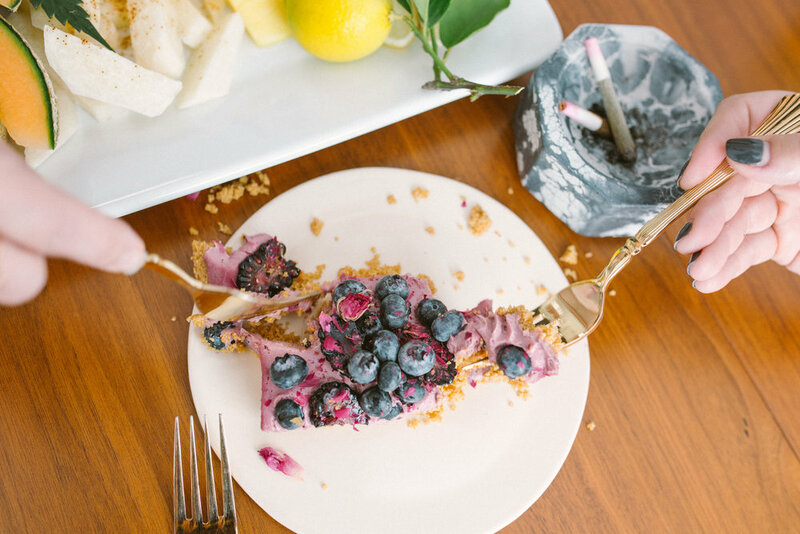 This bright pink cheesecake tart is lightly medicated and perfect for setting the mood for the night. 1. Set up sous vide water bath and turn temperature to 77ºC (170ºF). 2. In a large mixing bowl, whisk an egg until light and frothy. Add in sugar and lemon zest to the beaten egg and continue whisking. Beat in the softened cream cheese, sour cream, heavy cream, hibiscus flower powder, and all-purpose flour into the egg mixture until smooth. 3. Pour the cream cheese mixture into a gallon sized zip bag. Add kief and seal by removing air using the water displacement method and sous vide for 2 hours. 4. In a food processor, pulse Graham Crackers, softened cannabis butter, and sugar until fully incorporated. Take a 9’” springform cake mold or bread pan and grease with soft butter. Pat the Graham Cracker mixture down flat to create a crust. Refrigerate until ready to assemble cheesecake. 5. Remove cheesecake base from the water bath after 2 hours. Give the bag a good massage to evenly distribute the THC. You can even put it through a blender to make the base more uniform. 6. Pour the cheesecake base into the Graham Cracker crust. Use a spatula to smooth it out. Refrigerate for at least an hour to set. 7. 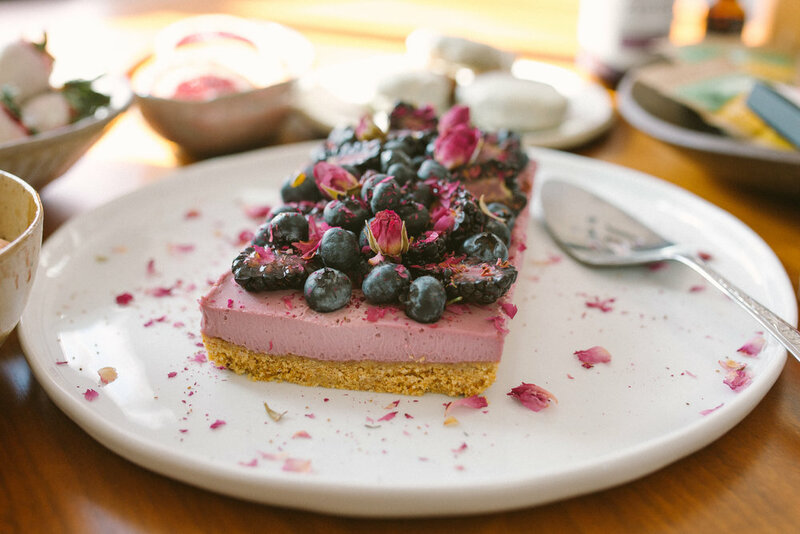 Remove cheesecake from fridge right before serving and add berry medley and crumbled rose petals on top.